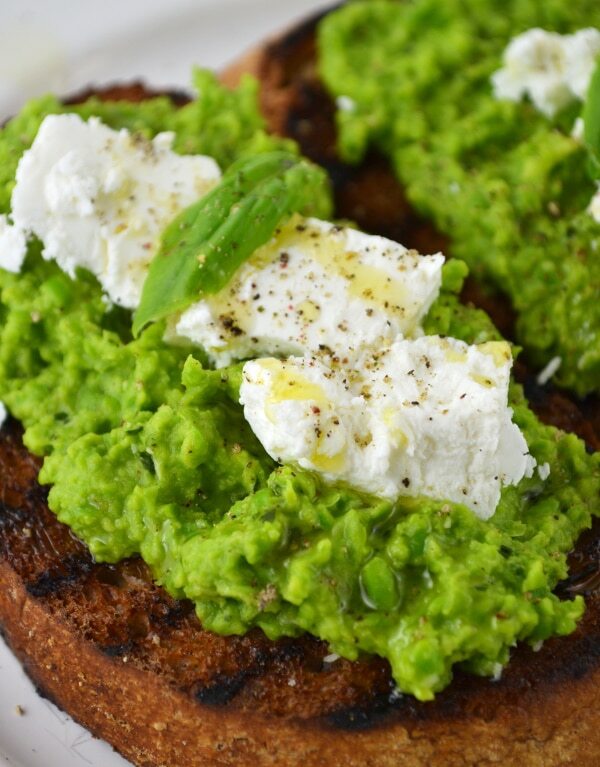 Make this Pea Pesto and Goats’ Cheese Bruschetta for a fantastic lunch or snack. 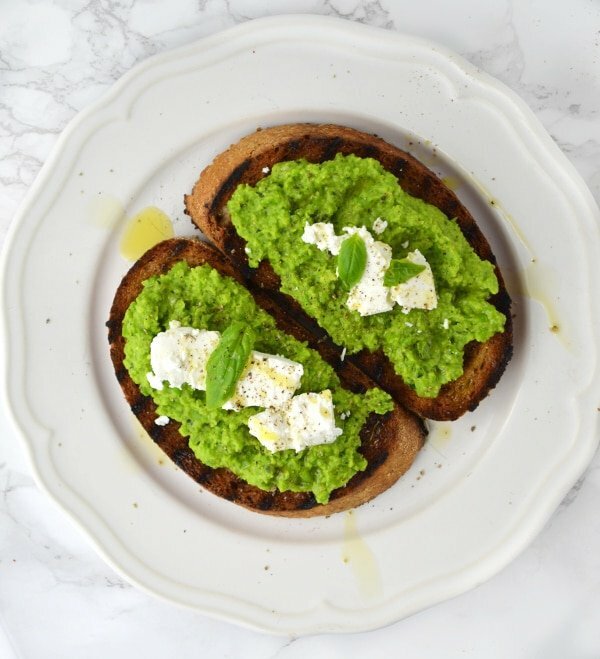 Sweet peas are blitz into a pesto with a few other yummy ingredients and spread on toasted wholemeal bread and topped with delicious, tangy goats’ cheese. Anything with the word pesto in it suddenly has my full and undivided attention. Why? Because I have never had a bad tasting pesto, ever! This obviously excludes shop bought pesto blaaah. But seriously I have never had a bad tasting homemade pesto, maybe because they usually contain very simple and utterly delicious ingredients such as Parmesan CHEESE, basil, garlic, lemno, nuts….all things delicious! Which brings me to today’s post – Pea Pesto and Goats’ Cheese Bruschetta. * This post contains affiliate links which means if you purchase through those links I receive a small commission. This helps me continue to post free recipes for everyone. I will never recommend a product I do not love and use myself. This is an incredibly easy peasy recipe that is perfect for a light lunch or snack. 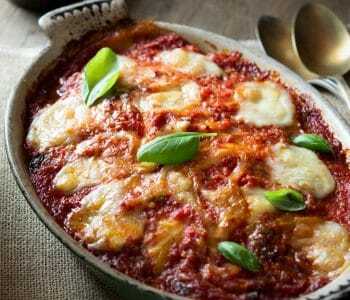 The flavours from the sweet peas and basil goes perfectly with the tangy, sharp goats’ cheese. Add garlic and parmesan and ohhh my my my! I used wholemeal crusty bread cut into thick slices, drizzled with olive oil and toasted on a griddle pan. I love toasting bruschetta or crostini this way, it leaves a beautiful charring which is not only appealing to the eye but gives such a wonderful smokey flavour to the bread. In fact bread toasted this way then just rubbed lightly with a garlic clove and drizzled with olive oil is so delicious and perfect along side a big bowl of soup! To make the pea pesto I boil frozen peas for 1-2 minutes until just cooked. They are then drained and added to a food processor with parmesan, garlic, basil, lemon, salt and pepper. I then add 1 tbsp of olive oil while the processor if blitzing the peas into a fine paste. It’s hard for me not to eat it by the spoon at this point! 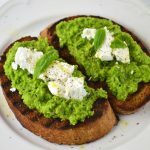 Sweet peas are blitz into a pesto with parmesan, basil and garlic and spread on toasted wholemeal bread and topped with delicious, tangy goats' cheese. Bring a small pot of water to the boil and place a griddle pan on a medium/high heat. Drizzle the slices of bread with a little olive oil on each side and place on the griddle pan. Toast each side of the bread. Add the peas to the boiling water and boil for 1-2 minutes then drain, Place he peas in a food processor with the basil, parmesan, lemon, garlic and salt and pepper. Blitz everything into a fine paste whilst adding tbsp of olive oil. Sprinkle one side of the toasted bread with a little salt and spread over the pea pesto. Top with a little goats' cheese, pepper and an extra drizzle of oil. Haha exactly…I couldn’t live without cheese! I make something similar and we all love it, the pea pesto and goat’s cheese is such a wonderful marriage! It really is! Thank you for stopping by ? I am totally down with this pesto — and I agree not the store bought blaaahhh! Lovely light lunch! Jags I’m glad you’re with me on that one. Thank you! ? I love bruschetta, and can be such a simple, yet tasty and satisfying dish. I like your combination of ingredients, sounds delicious. I know that’s the best part about bruschetta it’s so simple and so tasty. Thanks Helen! Easy peasy is something I LIKE! 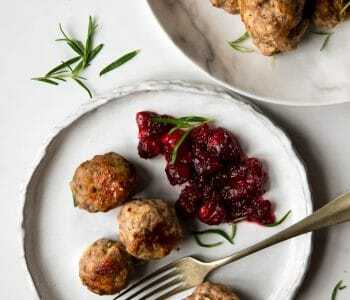 This is a great recipe, and healthy, too.